Samsung unveiled two new tablets yesterday, the Galaxy Tab S4 and the Galaxy Tab A 10.5. These tablets target the high-end and (upper) budget segments respectively and have a few features in common, such as a widescreen display and four loudspeakers with Dolby Atmos support (though the Tab S4’s are tuned by AKG as well). And it turns there’s another common aspect of these tablets, despite the difference in price tags: Both the Tab S4 and the Tab A 10.5 will get security updates every three months. Yes, it’s disappointing that Samsung is resigning the Galaxy Tab S4 to quarterly updates right from the start. The device is quite costly at a starting price of €699 ($650 in the US). But it’s a regular thing for the company to put its tablets in the quarterly updates batch, and it’s good to see that the Tab A 10.5 will also be getting quarterly security updates. Of course, whether Samsung sticks to even the quarterly schedule will vary by country, as it is for pretty much every other device carrying the Galaxy name. There are a few other shortcomings of the tablet for the price it commands, but it has a few impressive features as well. To see what we think of the Tab S4, check out our early impressions and look forward to the full review in the coming weeks. We have also published our hands-on experience with the Tab A 10.5, so do check that out as well. I’ve been seeing excellent reviews for the new Tab S4. 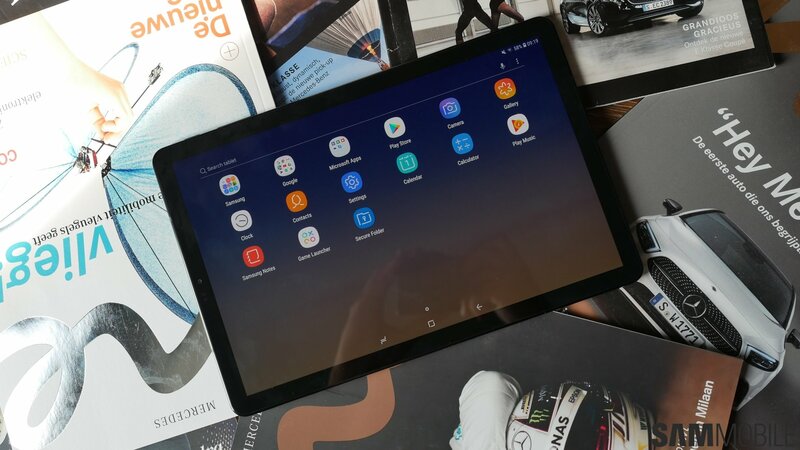 I have a couple of Samsung tablets I don’t use that often so I won’t be buying it, but it looks like a very good buy for people who need one. And that big Super Amoled screen looks incredible.